8 Inch iPad Reaches Testing Stage? Shortly after reporting that Apple’s next-generation tablet would ship with LTE support, the Wall Street Journal has sparked rumours of a smaller iPad, stating that Apple is in the process of testing an 8 inch model. According to the report, Apple has been working with Asian component suppliers to test a new, smaller slate, suggesting that the company is intent on broadening its tablet line to directly compete with Amazon’s Kindle Fire. Sources working alongside some of the suppliers have reportedly seen a smaller screen design for a new slate that measures approximately 8 inches. Apple is apparently choosing suppliers to assemble the revitalized tablet. Both AU Optronics and LG are said to be developing the panels. 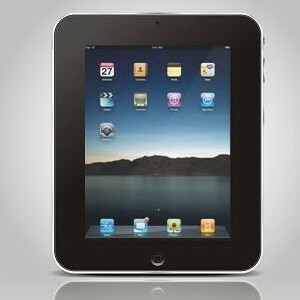 The device is rumored to have a screen resolution similar to the iPad 2.